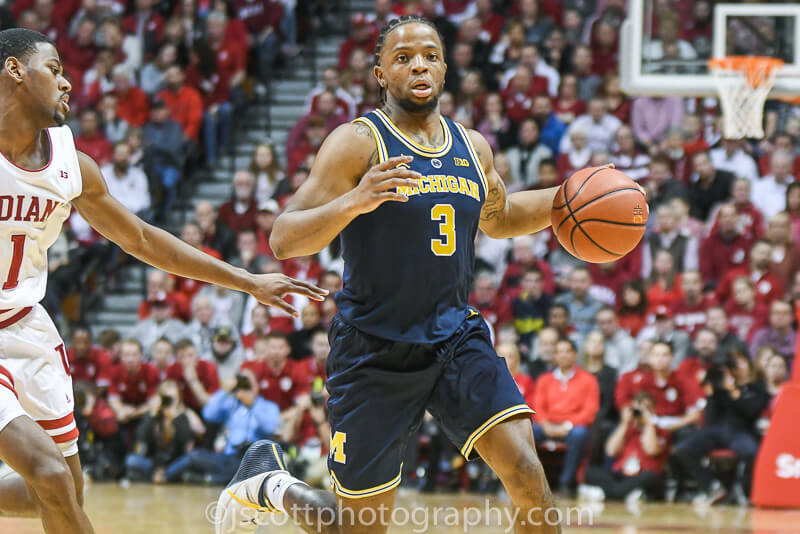 With the spring signing period beginning this week and the deadline to declare for the 2019 NBA draft rapidly approaching, it’s time for our first look at who is coming and going in the Big Ten for the 2019-20 season. Notes: As of now, Dosunmu has not opted to test the draft waters despite being projected as a potential late first round pick. If he returns to Champaign, Illinois will be a team on the rise next season. Notes: The Hoosiers have three available scholarships with Langford off to the NBA and Forrester and Moore opting to transfer. This roster is far from complete. Notes: Wieskamp is expected to return to school and Cook is not, which deals the Hawkeyes a major blow on the frontline. · Returning: Jalen Smith, Eric Ayala, Joshua Tomaic, Aaron Wiggins, Serrel Smith Jr., Darryl Morsell, Ricky Lindo Jr.
Notes: The return of Smith is a major development for Mark Turgeon and the Terps, who should be a preseason top 25 team. Notes: Matthews is staying in the draft for sure and Brazdeikis and Poole are both unlikely to return. Look for the Wolverines to be active on the grad transfer market this spring and also with Franz Wagner, the younger brother of Moritz Wagner. · Returning: Cassius Winston, Nick Ward, Joshua Langford, Aaron Henry, Kyle Ahrens, Xavier Tillman, Foster Loyer, Gabe Brown, Thomas Kithier, Marcus Bingham Jr.
Notes: If Winston and Ward both return, the Spartans will be one of the favorites to cut down the nets next April. Notes: The Golden Gophers are losing a ton from a team that beat Louisville in the first round of the NCAA tournament. It could be a retooling season for Richard Pitino, who just received a contract extension. Notes: Fred Hoiberg takes over for Tim Miles next season and there’s plenty of work to be done this spring to fill out the roster. Notes: After a disappointing season in 2018-19, Northwestern also has a ton of work to do this spring to fill out its roster. As it stands, the Wildcats are a bottom three team in the league next season. Notes: Assuming Kaleb Wesson is back, the Buckeyes should be in the mix in the top tier of the Big Ten with a strong returning nucleus and the Big Ten’s best recruiting class. Notes: Stevens hasn’t announced his plans for next season, but his decision is one of the bigger stay or go decisions in the conference this offseason. Notes: Purdue is losing its most important piece in Edwards and two tremendous role players in Cline and Eifert, but there’s a lot of young talent remaining in West Lafayette to provide optimism heading into next season. Notes: The Scarlet Knights have two scholarships open after the early March dismissal of Thiam, who was arrested for domestic violence. Notes: A new era of Badger basketball will commence next winter as Happ, one of the program’s all-time greats, has used up his eligibility.